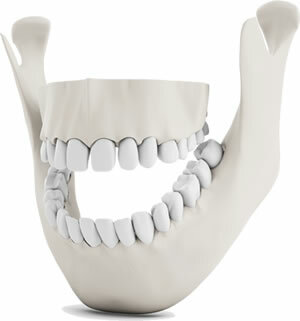 Restore Jaw Health with TMJ Treatment We help patients with bruxism and TMD symptoms. Are You At Risk for TMJ Disorder? If you have a habit of grinding your teeth or you chew on hard objects or ice cubes when stressed, you may be causing damage to the teeth and jaw. Many people experiencing jaw pain or tenderness around the neck and jaw do not realize these are symptoms of TMJ disorder. TMJ disorder can affect your quality of life and, if left untreated, lead to bite problems and compromise proper functioning of the jaw. The people at this office are just the nicest folks you’ll ever meet. They really want their patients to be comfortable and provide excellent care. I’ve had a number of procedures done, from cleanings to crowns and I wouldn’t want to go anywhere else! Gail T.
Grinding and clenching your teeth can have negative long-term effects on your oral health. The extra pressure around your mouth and jaw can cause a bite misalignment and trigger pain around the jaw joint. This is why it is so important for patients to break any teeth grinding or clenching habits once we have identified them. Doing so can prevent destruction of the teeth and gums, and also preserve mobility of the jaw. In most TMJ cases, we see that the jaw is shifted backward. This puts stress on the muscles, ligaments and bones in the jaw, which narrows the airway and limits the positions the jaw can move in. Obstruction of the airway can lead to mouth breathing during sleep, snoring, and the potential for your airway to collapse. If the airway collapses, your air is cut off and you experience an episode of sleep apnea. Sleep apnea is a dangerous condition that can cause serious health effects if left untreated. If you experience any TMJ or sleep apnea symptoms we encourage you to contact our office. Dr. TJ Imm is trained using principles from The Dawson Academy so your TMJ treatment plan will consist of proven approaches and methodologies. 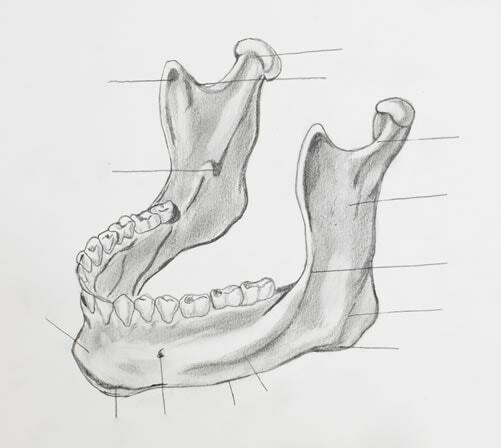 The Dawson philosophy requires doctors to use MRI and CT-Scans to recognize symptoms of TMD, fabricate an occlusal splint, and create an individualized patient management plan. Dr. Imm has also successfully completed intensive training through the T&S Therapy Centre, gaining experience and comprehensive knowledge of craniofacial pain and sleep-related breathing disorders. We take the time to educate our patients about the diagnosis and treatment so that they can incorporate our suggestions and recommendations into their lifestyle. Learn more about treatment options for TMJ disorder and bruxism by scheduling your consultation at 5 Points Advanced Dentistry today. 5 Points Advanced Dentistry (Formerly Hooper Dentistry) has been caring for Upper Arlington, Grandview, Dublin, Worthington and the Northwest Columbus community since 1975. Well known for our "patient first" focus and emphasis on technology, 5 Points Advanced Dentistry has treated generations of thousands of families in the Central Ohio area. The dental team is well known as a trusted, superior dental provider who cares for patients with character and compassion. Instead of focusing on only fixing one problem, our doctor takes a ‘whole mouth’ approach which allows him to address underlying issues that may be triggering a host of other health issues. Since the health of the gums and teeth is linked to your overall health, it is important for us to learn about the medical history and lifestyle habits of our patients. This approach includes considerations for TMJ and airway obstructions related to sleep apnea. Dr. Imm has extensive experience in specialized care, serving patients with implant dentistry solutions, smile makeovers and custom cosmetic dentistry services. He has earned continuing education credits from the country’s top training institutions, including The Dawson Academy, Spear Education and the L.D. Pankey Institute. ★★★★★ I love Dr. Imm, his staff and practice! They’re professional, knowledgeable and personable. I highly recommend them!